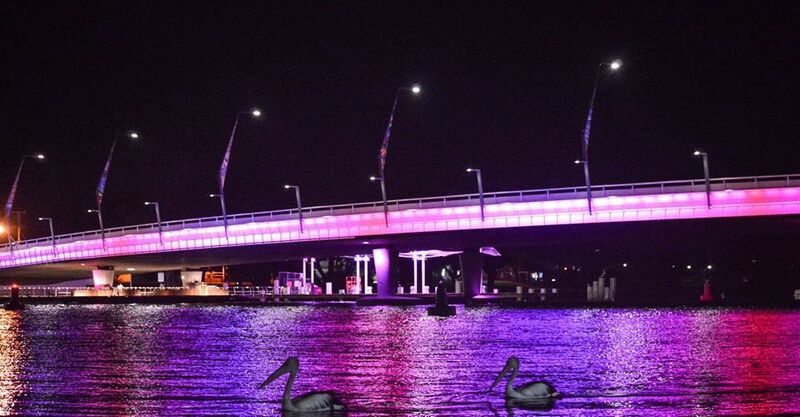 INTEREST earned on funding over the life of the new Mandurah Bridge construction could be used to make life easier for pedestrians. To ensure a successful project could be delivered, a number of bridge enhancements were deleted from the original plan. Now the City of Mandurah has had a chance to revisit and possibly implement a key option linking the waterside boardwalk to the bridge via a stairway. At present, pedestrians must access the city centre via Mandurah Terrace. They must backtrack along the boardwalk on reaching the end and walk down a laneway between the boardwalk and Mandurah Terrace to access the bridge and continue their journey. The council wants to complete the boardwalk, install a stairway to link the existing boardwalk to the shared pathway on the bridge and undertake shoreline revetment work. A stairway could be installed from the boardwalk leading up to the bridge pedestrian pathway, creating an options for pedestrians to access the bridge, either from Mandurah Terrace or from the boardwalk adjacent to the estuary. Revetment works would also be undertaken to protect the infrastructure from water based erosion. The council recommended approval of the allocation at its meeting last night but any decision is subject to approval from Peel Development Commission and the Department of Primary Industries and Regional Development.